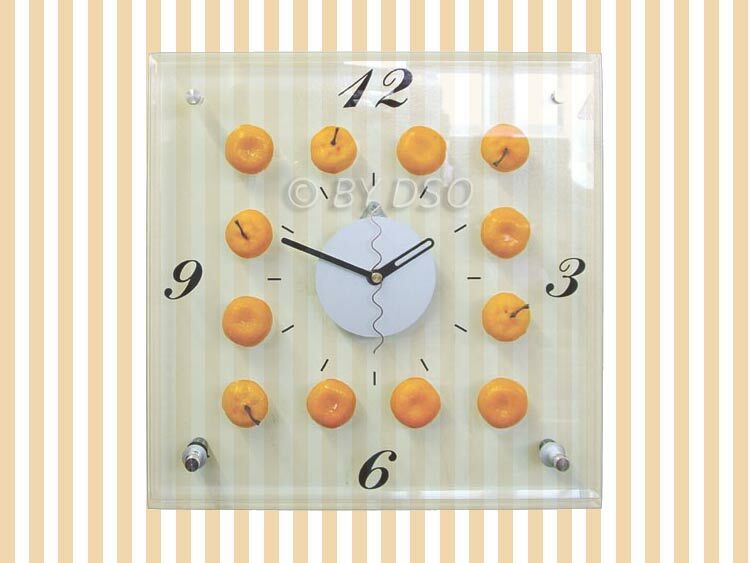 This lovely glass clock with an orange fruit theme will bring personality and fun to any room, especially the kitchen. Guaranteed to bring a smile with its bright and refreshing image This orange clock is made of 2 layers of 4mm thick bevelled glass featuring 12 wonderful 3d orange and runs on 1 'AA' battery (not included). The numbers 3 - 6 - 9 - 12 can be clearly seen on the glass front making it easy to tell the time. This stylish, cute and modern clock would make a bright gift for your loved ones.